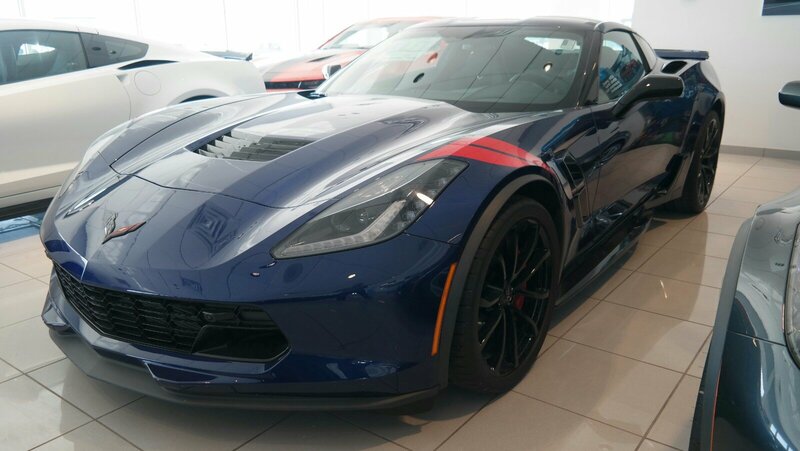 This Chevrolet Corvette has a dependable Gas V8 6.2L/376 engine powering this Automatic transmission. 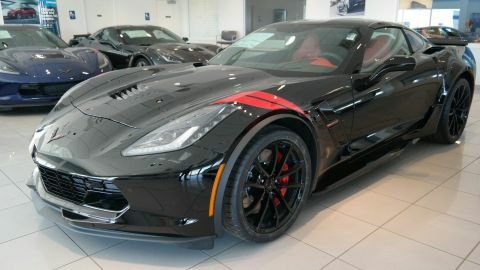 WHEELS, GRAND SPORT BLACK-PAINTED ALUMINUM 19 x 10 (48.3 cm x 25.4 cm) front and 20 x 12 (50.8 cm x 30.48 cm) rear, TRANSMISSION, 8-SPEED PADDLE SHIFT WITH AUTOMATIC MODES, TORCH RED FENDER HASH MARKS. 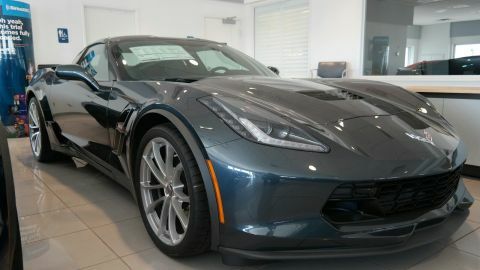 *Packages That Make Driving the Chevrolet Corvette Grand Sport 2LT An Experience*REMOTE VEHICLE STARTER SYSTEM, REAR AXLE, 2.73 RATIO, ELECTRONIC LIMITED-SLIP, PERFORMANCE, MIRRORS, OUTSIDE, CARBON FLASH-PAINTED, LPO, FLOOR MATS, PREMIUM CARPETED with Grand Sport logo, Genuine Corvette Accessory, LICENSE PLATE BRACKET, FRONT, JET BLACK, PERFORATED MULAN LEATHER SEATING SURFACES, GS 2LT PREFERRED EQUIPMENT GROUP includes Standard Equipment, GRAND SPORT HERITAGE PACKAGE includes interior brushed aluminum hash marks and (VYW) Floor mats with Grand Sport logo, LPO;, ENGINE, 6.2L (376 CI) V8 DI (460 hp [343 kW] @ 6000 rpm, 465 lb-ft of torque [627.8 N-m] @ 4600 rpm) (STD), CARBON FLASH BADGE PACKAGE, CALIPERS, RED-PAINTED, AUDIO SYSTEM, CHEVROLET INFOTAINMENT SYSTEM with 8 diagonal color touch-screen, AM/FM/HD stereo with seek-and-scan and digital clock, includes Bluetooth streaming audio for music and select phones; voice-activated technology for radio and phone; featuring Android Auto and Apple CarPlay capability for compatible phone (STD), ADMIRAL BLUE METALLIC. 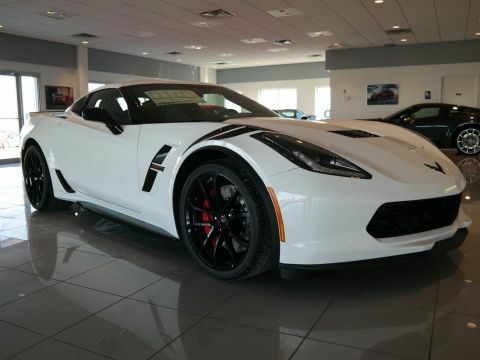 *Visit Us Today *Stop by Frontier Chevrolet located at 1640 East Highway 66, El Reno, OK 73036 for a quick visit and a great vehicle!